The Windward Islands Research & Education Foundation (WINDREF) and the Department of Public Health and Preventive Medicine (DPHPM) at St George’s University, have been selected by the United Nations Framework Convention on Climate Change (UNFCCC) to establish a Regional Collaborating Centre for the Caribbean. The partnership, between the DPHPM, WINDREF and UNFCCC, will be based at the University’s True Blue campus in Grenada and continues UNFCCC’s implementation of the Kyoto Protocol, signed in 1997. This centre, the third of its kind in the world, is aimed at enhancing the implementation of clear technology activities in the region by engaging private- and public-sector organizations as well as governmental agencies to participate in the Clean Development Mechanism (CDM) framework, part of the Kyoto Protocol’s way of achieving carbon reduction targets. WINDREF and the DPHPM, recently designated as the first WHO Collaborating Centre on Environmental and Occupational Health in the Caribbean, are uniquely positioned to lend support, having collaborated on several environmental research programs that addressed occupational health among nutmeg workers and health care workers, renewable energy, land degradation, food and water borne diseases, and zoonotic diseases. The regional office in Grenada started operations in mid-July and will aid in providing technical support to design and process activities under the CDM. 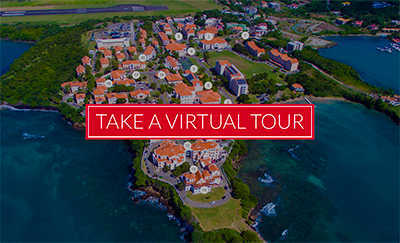 St. George’s University is a center of international education, drawing students and faculty from over 140 countries to the island of Grenada, West Indies. St. George’s is affiliated with educational institutions worldwide, including in the United States, the United Kingdom, Canada, Australia, and Ireland. The University has contributed over 13,000 physicians, veterinarians, scientists, and public health and business professionals who are studying across the world. The University programs are accredited and approved by many governing authorities. The Department of Public Health and Preventive Medicine offers a CEPH-accredited Master in Public Health Programme to graduate students from around the world. The Department also houses the WHO Collaboration Center for Environmental and Occupational Health and the Gamma Kappa Chapter of the Delta Omega Honor Society in Public Health. 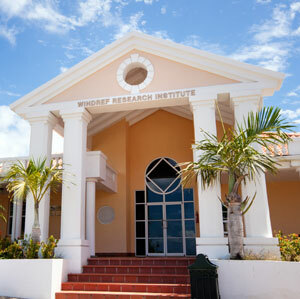 The Windward Islands Research and Education Foundation (WINDREF) is a non-profit research institute located on the St. George’s University campus. Its mission is to advance health and environmental development through research and education programs. For more information, visit www.sgu.edu. Developed countries can work towards their targets under the Kyoto Protocol by earning certified emission reductions through Clean Development Mechanism (CDM) projects.